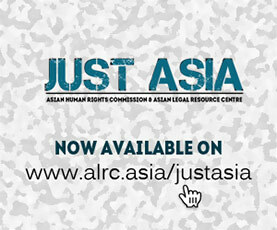 The Asian Human Rights Commission (AHRC) has learned that M.S.F. Perera who was allegedly tortured by prison guards at Kuruwita Remand Prison has succumbed to his injuries at the National Hospital in Colombo on 6 July 2006. He was arrested on mistaken identity on the allegation of making bomb threats by telephone. Another man, Mr. L.G. Munaweera was also arrested and later tortured. He is still taking treatment. We urge you to intervene to ask for urgent and thorough inquiry into the death of this victim and into the entire incident of the torture of both persons. We urge immediate prosecution of the offenders. And further that you express your concern about the Sri Lankan government’s complete reluctance to eliminate torture in the country despite of it being a state party to the ICCPR as well as the CAT. Mudalige Sunil Fermin Perera , a 55-year-old man residing in 55 1/A Pitakotte Kott, died to injuries received as a result of torture he allegedly suffered while in prison custody and another man namely Linton Gamini Munaweera, who was arrested along with M.S.F.Perera, was severely insured. On 28 June 2006, the two men mentioned above were arrested by Ratnapura Police on the information supplied by the Vice Principal of Mihindu College, Ratnapura which is about 90 km south-east of the capital Colombo, regarding the bomb threat creating a false alarm in the College. The two men were taken in by the Ratnapura Police at midnight on June 28 and produced before the Magistrate, Mr. N. V. Karunatileke, on the following day (June 29). They were remanded on the plaint filed by the Ratnapura Police. They were arrested due to the allegation that Linton had supposed to have made a telephone call delivering a message regarding bomb threats and causing a situation of fear among the school community. However, both men denied the charges. They were remanded at the Kuruwita Remand Prison. After being jailed on June 29, the two men were severely tortured by the Jail Guards. It is now alleged that the information was wrongly supplied by the Vice Principle of the School to the Police from a CLI record. The Police had depended on this version and arrested these two and remanded them without any foundation. Only later when they checked up with the Telecom and Dialogue, they found that the persons tortured had not given calls on that particular day and earlier they had taken some calls on account of a business deal of supplying balloons to some celebration in the College. This call had been misrepresented as the allege misdeed on June 28. The Police in their motion had declared that they had already identified another person who had given the call. Police Officer B. Solngarachchi submitted a motion on July 3 and wanted them released because they were innocent and that day they had not made any telephone calls from their cell to the Mihindu College. Accordingly, on July 3, the Magistrate ordered both accusers to be released but this order was not executed by the Prison officials. On July 4, the victims were brought before the Magistrate Court. The Magistrate noticed that Mr. M.S.F. Perera had problems walking and was escorted by the two jailors. As he was barely conscious, he given a seat. He was in fact severely tortured about the lower legs. Furthermore, he was unable to say anything because of his condition. Then the second accused Linton Munaweera was asked to enter the box and then his lawyer Mr. Ben Abeyratne stated that his client was also tortured by the jail guards while in prison. The Magistrate ordered that a statement be obtained from the Vice Principal and his inability to read the CLI records from the Telephone be further investigated. The Magistrate noted the difference of the appearance of the first accused and when a relative requested that he be taken to the National Hospital, the Magistrate ordered the Police Post at the National Hospital to take a statement when he gained full consciousness. Subsequently, the two men have made a report to the Human Rights Commission of Sri Lanka. Meanwhile, M.S.F. Perera has succumbed to his injuries at the National Hospital in Colombo on July 6. Please write a letter to the relevant authorities to demand that inquiries are made into the allegations of torture by the guards at the Kuruwita Remand Prison and that action be taken against the persons under the CAT Act, (Act No. 22 of 1994). Date of incident: Illegally arrested on 28 June 2006 and allegedly tortured between June 28 and July 3. I was shocked to learn of the brutal torture of Mudalige Sunil Fermin Perera leading to his death and that of Linton Gamini Munaweera who were arrested by the Ratnapura Police on false information of making bomb threats to the Mihindu College, Ratnapura and thereby causing panic. This information was soon found to be false. After being produced before the Magistrate, they were both placed in the Kuruwita Remand Prison where they were allegedly tortured brutally by their guards. The police conducted inquiries and found that neither of the men could have been responsible for the bomb threat phone calls and Police Officer B. Solngarachchi submitted a motion for their release on July 3. Accordingly the Magistrate ordered both accused to be released but this order was not executed by the prison officials. Finally on July 4, the two men were brought before the Magistrate again and on that occasion he ordered them to be transferred to the Colombo National Hospital. The police were wrong in making an arrest without proper information. I therefore urge you to order an investigation into the brutal death of M.S.F. Perera at the hands of remand prison guards and the prosecution of the culprits. The conduct of both the police and the prison guards need to be reviewed and proper rules of conduct need to be established. I also ask for compensation for the family of the deceased torture victim. The surviving victim should be provided with proper medical attention and compensation for his injuries. Having repeatedly heard of cases of torture including ones leading to death from Sri Lanka, I express my serious shock at the Sri Lankan government’s indifference on this issue. The high ranking officers of the state including the Commissioner of Prisons should take full responsibility for this death and the torture. I also hope that all other authorities will take appropriate action to stop the continuing torture by the Sri Lankan police, military and prison authority.